Serena Lauren is a alternative, indie-pop singer/songwriter, heavily influenced by 90's alternative and latin music that plays guitar and piano. 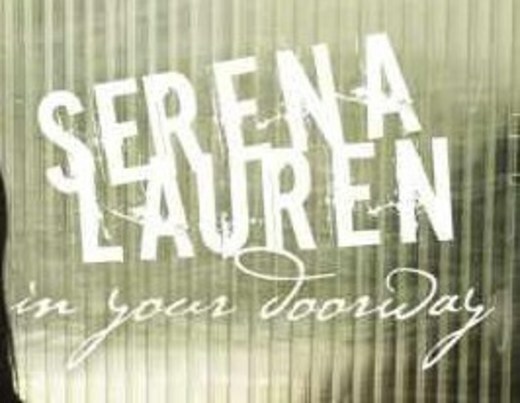 Serena Lauren, classically trained on the piano and self-taught on the guitar, started writing music in her late teens and released several albums including The Waking Up EP (2003) and In Your Doorway (2007). After receiving a production deal to record The Waking Up EP by Fat Cat Recording in Sacramento, CA, Serena's single "Unlaunched Star" earned her the opportunity to have a music video produced by Mark Austin at USC's School of Cinematic Arts. Serena has shared the stage with artists such as Jackie Green, Megan Slankard, and The Red Paintings. Heavily influenced by 90's alternative pop and latin music, including the The Cranberries and Shakira, Serena's songs combine elements of both genres which results in honest, engaging lyrics and a unique blend of pop, folk, and rock. Serena is currently writing songs for a new release and recently signed a non exclusive publishing deal with Princess Blue Publishing. Reached 7th in Best of Pop chart in 2016. In the top 20 for 2 weeks. Reached 37th in Best of Pop chart in 2017. In the top 100 for 11 weeks. Reached 56th in Best of Rock chart in 2016. In the top 100 for 7 weeks. Reached 55th in Best of Pop chart in 2015. In the top 100 for 16 weeks. Reached 63rd in Best of Pop chart in 2014. In the top 100 for 15 weeks. Reached 51st in Best of Pop chart in 2013. In the top 100 for 12 weeks. we picked Pile of Teardrops from that album as a showcase. It's the strongest of her songs, featuring some Latin-flavored acoustic guitar, emotive voice, and honest lyrics that yearn: “I want to give this my everything.” It takes the listener on a journey. Sorrow. Worry. And ultimately, relief.